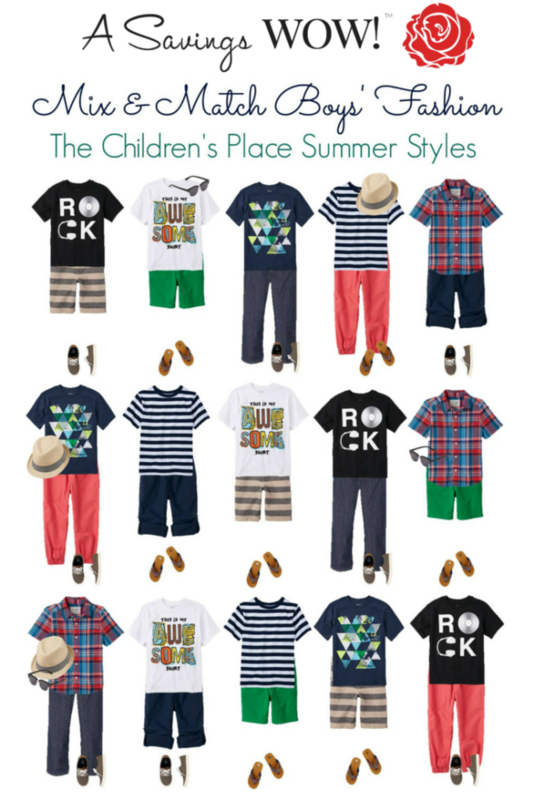 Boys' Summer Styles | A Savings WOW! It’s time to put away the heavy winter clothes and start preparing for the warmth that’s headed our way! For just a little over $100, you’ll be able to get the pieces needed to create the 15 boys’ outfits above (that’s an average of only $7 an outfit) from The Children’s Place! Some of these are on clearance, so act fast if you like them! Check out these coupons for The Children’s Place on Savings.com to save even more money. These are all cute. Boys sure are easier to shop for.